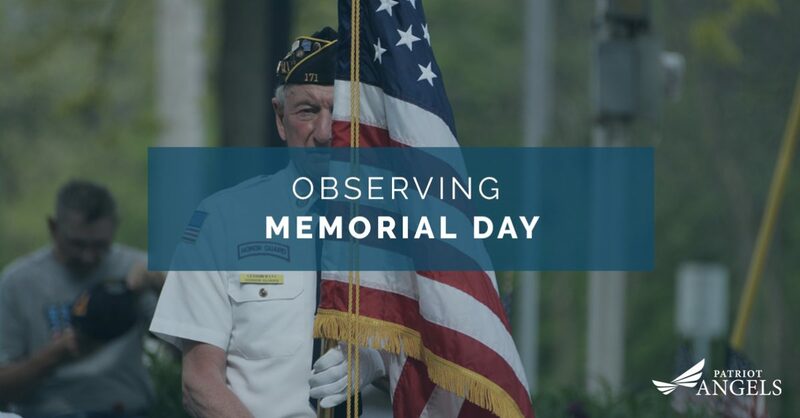 Every year, on the last Monday in May, Americans quietly gather at cemeteries or memorials, and host ceremonies to honor the men and women who died while serving in the United States military. Memorial Day has served as a way to reflect upon the sacrifices of those who gave so much in defense of our Nation’s values and ideals. But Memorial Day hasn’t always looked this way. Indeed, over the 150 years it has been observed, the holiday has changed in subtle but significant ways. Patriot Angels knows how to navigate veteran services to ensure that every veterans sacrifice is recognized. If you or your veteran is struggling to receive the long-term care they need, don’t hesitate to contact us today. Memorial Day has its origins in the Civil War. The four-year long conflict pitted the United States against itself, as Northern Union forces battled Southern Confederate troops. Between 1861 and 1865, nearly 600,000 Americans would fall on the battlefields of America. It remains the single costliest conflict in US history. After the war, and with nearly every community and family affected by the war’s toll, dozens of groups began finding ways to honor the dead, and remember their sacrifice. General John Logan, a politician, and Army officer during the war, officially proclaimed May 30th, 1868 as the first “Decoration Day.” Logan was the commander of the Grand Army of the Republic, a veterans fraternal organization that was made up of Union veterans. Decoration Day encouraged local members of the GAR to lead public memorial services for the war dead and to decorate the graves of the fallen with flowers and flags. May 30th was chosen because it was reportedly not the anniversary of any particular Civil War battle. By the end of the 19th century, most Northern states chose to recognize the day, and participate in memorial ceremonies at the state and local level. Southern states held their services and commemorations on a separate day. It wasn’t until the First World War that the entire country recognized Decoration Day as May 30th. WWI was the largest conflict the United States had been involved in since the Civil War. Fittingly, Americans began using Decoration Day to honor the fallen Americans of all wars. Slowly, it became known as Memorial Day but still was recognized on May 30th, the original date Logan selected. Memorial Day didn’t radically change until the 1960s and 1970s. The Uniform Holiday Act of 1968 officially renamed the holiday as Memorial Day and moved the date from May 30th to the last Monday in May. The idea behind the Uniform Holiday Act was to create more holidays on a Monday so that Americans could have regular three-day weekends across the year. The change took effect in 1971 and declared Memorial Day a federal holiday. While many federal employees no doubt appreciated the long weekend, many veterans groups decried the change. These veterans groups were concerned that Americans more closely associated the holiday with the long weekend than they did the sacrifices of fallen service members. The resistance to this change was led by decorated WWII veteran Daniel Inouye, who served as a Senator for Hawaii. Until his death in 2012, Inouye was a vocal proponent of moving Memorial Day back to its original May 30th date. This, many felt, would ensure that the day remained focused on honor the nation’s war dead. Patriot Angels cannot begin to describe its gratitude to the men and women who made the ultimate sacrifice for the safety of the United States. In our own small way, we hope to give back to the veterans who are still with us and are in need of care. Since 2012, Patriot Angels has worked within the complicated VA veteran services benefits to help veterans get access to the Aid and Assistance Pension. This pension is meant to reduce the costs associated with the care of veterans and surviving spouses. If your loved one requires a minimum service of another person to assist with their daily lives, this pension can help cover some of these costs. Don’t hesitate to reach out to us today to get the help you or your loved one needs.